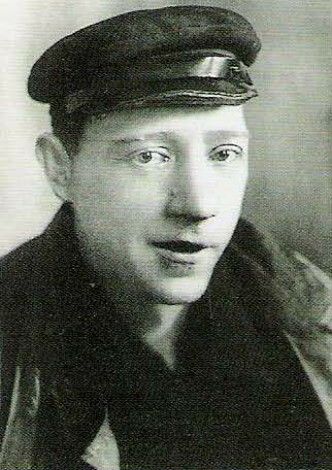 Tatlin, Vladimir [Татлин, Владимир], b 28 December 1885 in Moscow, d 31 May 1953 in Moscow. 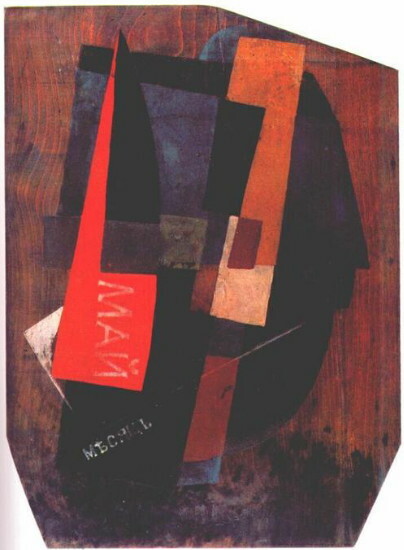 Painter, designer, and cofounder of constructivism. He grew up in Kharkiv and worked as a merchant marine. He studied art in Penza (1905–10) and at the Moscow School of Painting, Sculpture, and Architecture (1909–10) and private studios in Moscow. There he took part in avant-garde exhibitions (eg, the Donkey's Tail, Knave of Diamonds, and Union of Youth). 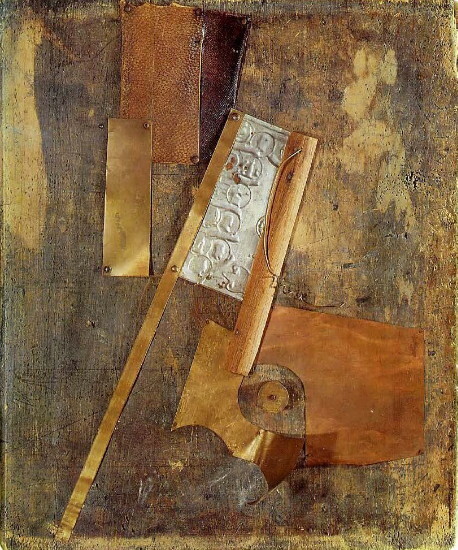 Around 1914 he shared his studio with Oleksa Hryshchenko and began working on painterly reliefs and ‘counterreliefs’ inspired at first by Pablo Picasso's relief sculptures. His constructions were entirely abstract combinations of materials (wood, metals, and glass). 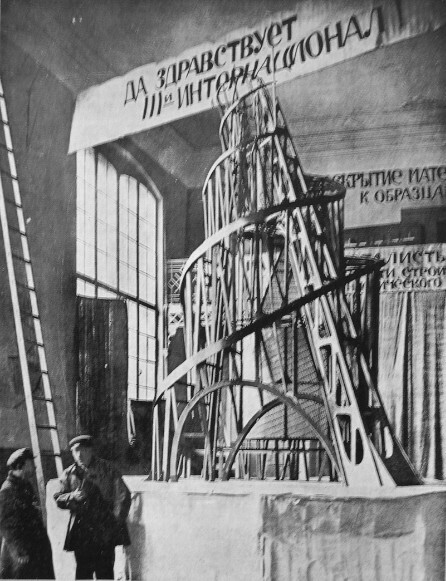 While heading the Moscow branch of the Division of Visual Arts of the Commissariat of Education (1918–19) and chairing the Department of Material Culture at the Moscow Higher State Artistic and Technical Workshops (1919–29) he worked on his famous model of the Monument to the Third International. He then chaired the Department of Material Culture at the Academy of Arts (1920–2) and the Museum of Artistic Culture (1922–5) in Petrograd. 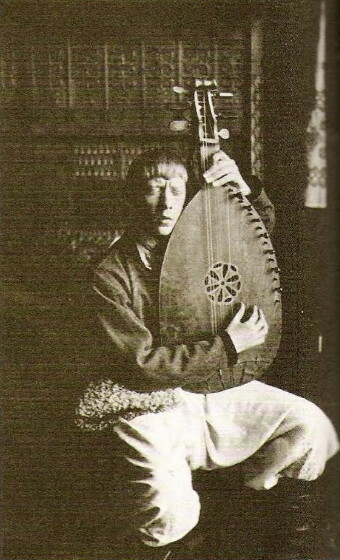 In 1925–7 he chaired the theater, film, and photography department of the Kyiv State Art Institute. While in Kyiv he designed the cover for Mykhailo Semenko, Geo Shkurupii, and Mykola Bazhan's poetry collection Zustrich na perekhresti (Meeting at the Crossroad, 1927) and established ties with the Nova Generatsiia futurist group in Kharkiv, and these ties he maintained after his return to Moscow. He was a major exponent of avant-garde art and design of the 1910s and 1920s. His intuitive constructivism is similar to that of Vasyl Yermilov and of the set designs of Anatol Petrytsky and Vadym Meller.